I have seen this book all over social media and when I say all over I truly mean all over – Twitter, Instagram, Goodreads, Youtube and book blogs. What first attracted me to it was the synopsis because it sounds so good and unique. I’m sure that the synopsis of Seven Deaths will intrigue every lover of mystery books (if one could classify it as such). The story revolves around one woman called Evelyn Hardcastle who upon attending a party thrown for her by her parents gets murdered. This happens every night and the quest of saving Evelyn falls upon one man called Aiden Bishop. Aiden re-lives this whole day through the eyes of different guests and what he’s tasked with is solving the mystery around Evelyn’s death. But solving her death is very tricky and Aiden must give his all in order to find out the truth behind her death[s]. I have kept this synopsis short and sweet because it’s all you need before going in. The first question that pops into my mind is – is Seven Deaths worth the hype it got and still gets? I would say that it is because it offers something unique and something I haven’t read before. The story is complex and interesting and very rich in terms of characters and happenings. Because I’ve been busy with tests/exams I’ve been reading it for a longer period than usual but I have to note that I’ve read around 400 pages in two days which says something about the book as well as Turton’s writing. I found the characters as well as different timelines to be confusing at times because a lot of stuff happens in it. I enjoyed the mystery around Evelyn as well as Aiden’s attempts at trying to figure out what exactly happens every night. The last one-hundred pages were so good and fast-paced that I couldn’t look away so even though I was in class at one point I just kept reading instead of paying attention [sorry professor]. I love the complexity of the story Turton has created because even when I was trying to guess what Aiden was missing, Turton managed to add a new layer to the story and point to a different direction. I found the conclusion to the book to be very interesting and wanted at least twenty more pages just so I could see what happened! What bothered me the most and what I mentioned at the beginning are the characters and switching timelines but other than that I found the book to be such a strong mystery. If you’re someone who gets sort of distanced when it comes to hyped-up books I can assure you that with this one you won’t be disappointed because it will thrill you, mislead you and entertain you. The Seven Deaths of Evelyn Hardcastle stands as a strong mystery book and one of the most interesting ones I’ve read in a while. I would like to thank the publisher Bloomsbury UK (Raven Books) for providing me with a copy in exchange for an honest review. All opinions expressed in this review are my own and weren’t influenced by the fact that I got this book free from the publisher. Stuart Turton lives in London with his amazing wife and daughter. He drinks lots of tea. Doesn’t it look stunning!? Let me know your thoughts on it below in the comment section. David Lagercrantz, born in 1962, is a journalist and author, living in Stockholm. His first book was published in 1997, a biography of the Swedish adventurer and mountaineer Göran Kropp. In 2000 his biography on the inventor Håkan Lans, A Swedish genius , was published. His breakthrough as a novelist was of the Fall in Wilmslow (Fall of Man in Wilmslow) , a fictionalized novel about the British mathematician Alan Turing. In David Lagercrantz ‘writing you can thwart see a pattern: the major talents who refuse to follow the convention. He has been interested not only in what it takes to stand out from the crowd, but also in the resistance That Such creativity inevitably faces. Find him on: Website and Goodreads. When it comes to books that feature LGBTQ+ themes I’m all ears so getting a chance to read The Parting Gift was very exciting for me. Oh boy, was this book brilliant! I have to mention the hardcover copy and how brilliantly it was designed. Wow, just wow. Well done Other Press! The story centers around an unknown narrator who upon coming back from Israel crashes in his friend’s apartment and the book is written in a form of one long letter addressed to that friend, Adam. Since our narrator has found a new location to live in he decides to leave an explanation as to why he came to crash at his place for four months. Our narrator tells Adam the story of Uzi, a spice merchant he met during his trip as well as meeting Uzi’s family, of love, of obsession, of dedication and more. I think that my summary is enough to read before going in and that’s why I kept it short. I’ve no idea what’s happening lately because I’ve been reading fantastic books – let’s not jinx this because I want to read more fantastic books in the future. I read The Parting Gift in a day because it was so fast-paced and so good that I couldn’t look away. I just made breaks to make more cups of tea. Fallenberg writes so masterfully and keeps your attention at all times and the way he crafted this tale was fantastic. I love how he created the characters in it especially our unknown narrator who is so fascinating and whose psyche I loved examining throughout the book. Unknown narrator is so interesting and his actions made me question many things about him. The story is developed very well and there’s no dull moment in it. If I was to compare this book to other ones I would definitely say that it reminded me of Gone Girl in a way – now I know everything is compared to Gone Girl nowadays but this book really left me with that impression. When I reached the end of The Parting Gift I found myself wanting more and exactly this ability the author has to make the reader want more is what amazes me. I honestly don’t know what else to say because I fear I’ll ruin your experience with this book so just do yourself a favour and pick this book up. The Parting Gift is a fascinating tale of love, paranoia, jealousy and deviance set in a in a small town north of Tel Aviv. I would like to thank the publisher Other Press for providing me with a copy of this book in exchange for an honest review. All opinions written here are my own and weren’t influenced by anything. A native of Cleveland, Ohio, Fallenberg is a graduate of Georgetown University and the MFA program in creative writing at Vermont College of Fine Arts and has lived in Israel since 1985. 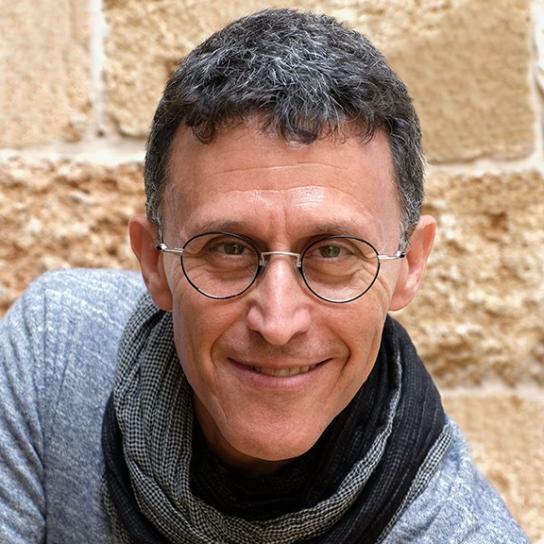 He is coordinator of fiction for the Shaindy Rudoff Graduate Program in Creative Writing at Bar-Ilan University; coordinator of literary translation in the Department of English Literature at Bar-Ilan University; and an instructor in the low-residency MFA program in creative writing at City University of Hong Kong. 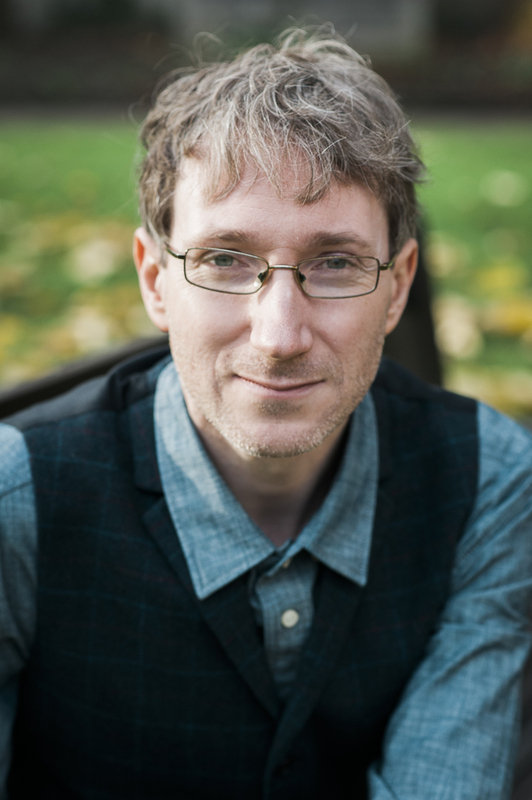 The recipient of fellowships from the MacDowell Colony, Vermont Studio Center and the National Endowment for the Arts, Fallenberg serves as an advisor to several literary prizes, including the Sami Rohr Prize for Jewish Literature. He is the father of two sons.